One day shortly after my husband and I moved in together he warned me that he used a lot of laundry detergent. As a naïve twenty-something I thought this was pretty odd. I mean, isn’t laundry detergent a hot commodity for everyone? Turns out, not like this. Some days I would follow him into the laundry room just to make sure he wasn’t opening the spout and pouring our liquid gold directly in to the trash. With the amount of money we were wasting on the expensive stuff, I decided it was high time to save a few bucks and make my own. 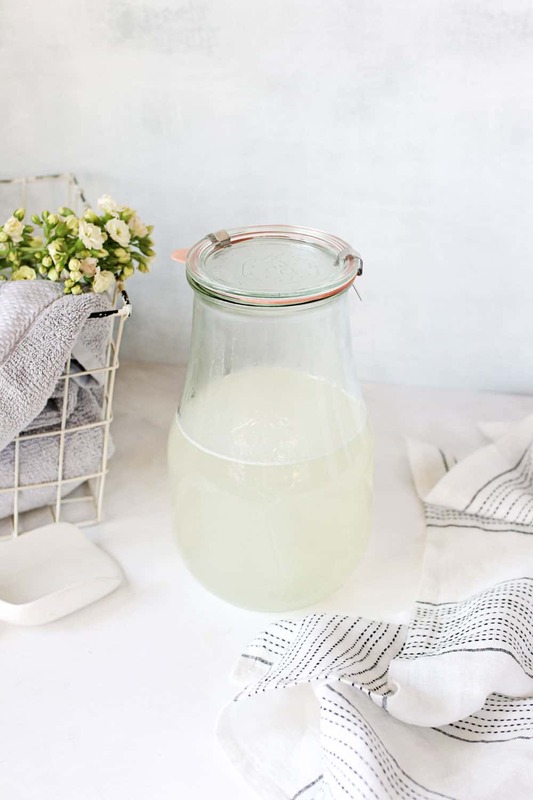 This recipe for liquid laundry detergent is one my all-time faves. It only requires 5 ingredients and it makes about a gallon—for just $5! 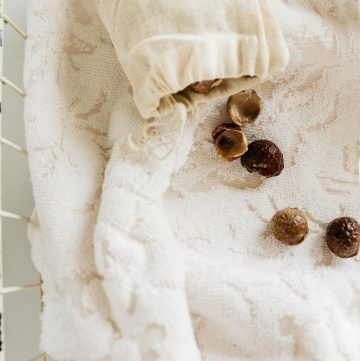 Natural laundry detergent has long been a priority in our house. 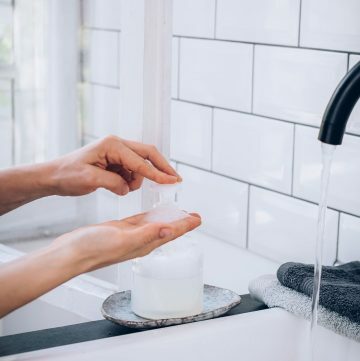 Traditional detergents are loaded with chemicals that stick to clothes and seep in through our skin. 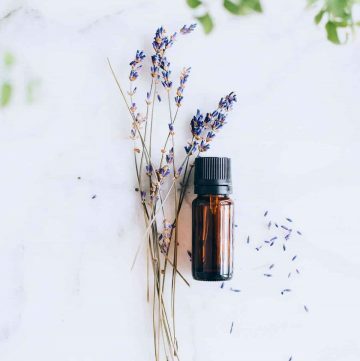 Not only can it cause eye irritation and lung problems but it can also be a source of persistent skin irritation and pesky rashes. And don’t even get me started on the carcinogens and endocrine disruptors! 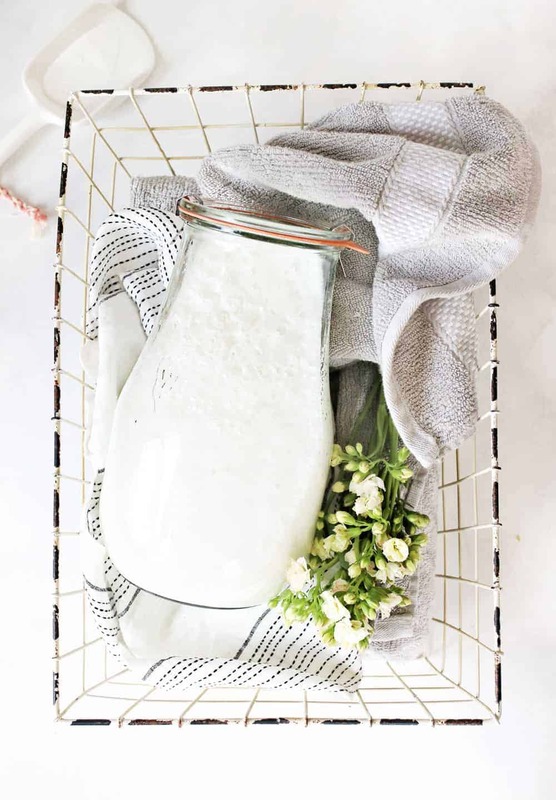 Natural laundry detergent, on the other hand, is better for you, your health and the environment. In the absence of harmful chemicals, sulfactants, parabens and phthalates, it’s a lot safer for long term use. Plus it’s completely biodegradable and won’t pollute our waterways. But the hefty price tag definitely leaves something to be desired! 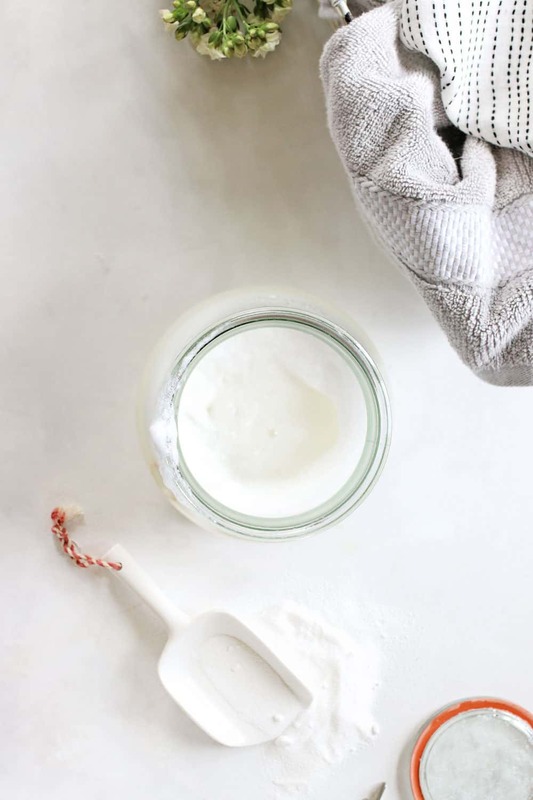 Even with just 5 ingredients, this laundry detergent is a lot cheaper than (and just as effective as) the store-bought stuff. 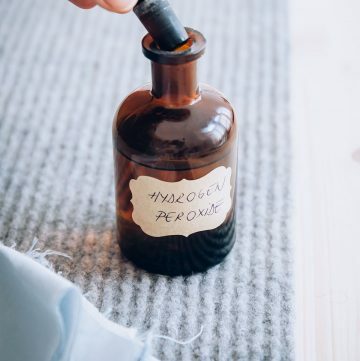 It relies on liquid castile soap to clean clothes and get rid of odors, and borax and washing soda to help tackle stains. Plus, by dissolving everything in water first, it won’t leave any white flakes on your clothes like some homemade dry detergents. 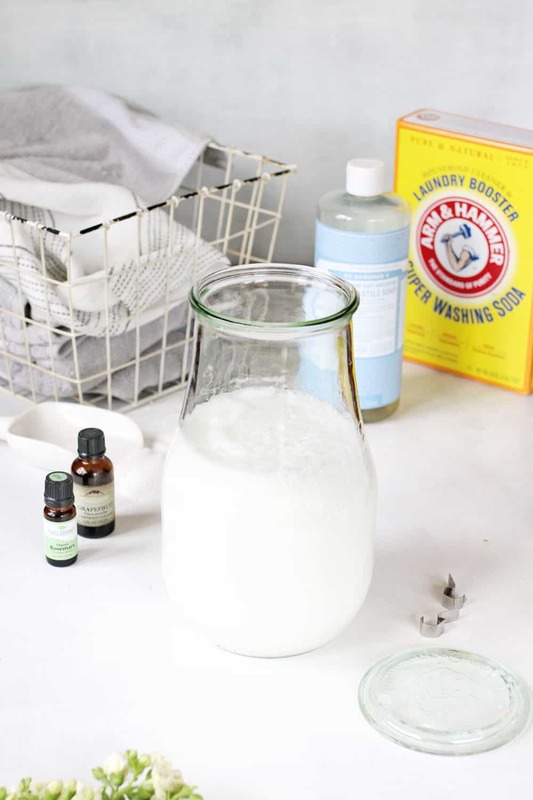 You can usually find everything you need to make your own laundry detergent at the neighborhood grocery store. The only ingredient I sometimes have trouble finding is washing soda. But a quick Google search usually points me in the direction of a local grocery store that sells it. If you can’t find it nearby, you can usually find it pretty easily online. Since this laundry detergent doesn’t contain preservatives, it’s best to use it within a couple of weeks, otherwise it could get moldy. Because it has a somewhat short shelf life, the recipe below is for a half-gallon batch. If you can’t use it fast enough, either make a smaller batch or store it in the refrigerator in between uses. It should store in the fridge for at least a month, but if you do notice mold, throw it out and make a fresh batch. In a medium-sized pot, bring 4 cups water to a boil. 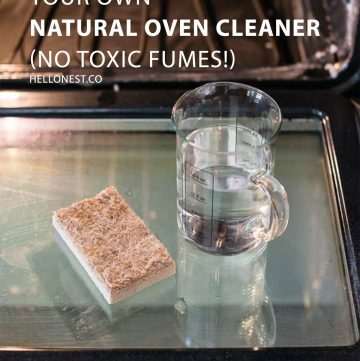 Remove from heat and add the borax and washing soda. Whisk to combine. In a separate bowl, combine the remaining water, castille soap and essential oils. Combine the borax mixture with the castille soap mixture. 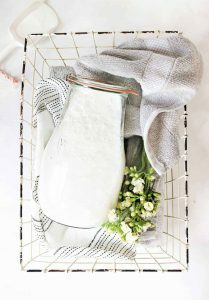 Pour into a lidded jar or old laundry detergent container. Use 1/8 cup for small loads and 1/4 cup detergent for large loads of laundry. I have a brand new washig machine and all of the labels on it say to only use HE detergent. Will this natural version ruin my machine? Thanks for the great recipe! I made it on the weekend, and overnight it went hard. I can still run a scoop through it but it isn’t really dissolving in the wash. Is it only for use with hot water? I did use extra washing soda in place of the borax, not sure if that may be the reason?